TISCO Foundation met with Khun Achara Aksornwit, Head of Social Welfare Department at Rajavithi Hospital to promote our medical care and other grant programs. The hospital was founded as the first health care center for women and children years ago before it has become a general hospital like today. Major groups of patients are immigrants (mostly undocumented labor and refugee status), those under royal patronage, and those who are transferred from smaller hospitals. 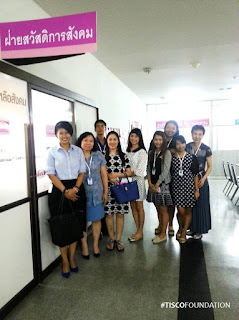 Many thanks to Khun Achara and her team for such useful information.